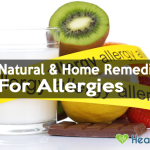 Are you suffering from an allergy and taking an anti-allergy medicine for relief? 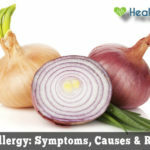 If yes, then this article will help you cure allergies the natural way i.e. through yoga. Yoga is an ancient practice that includes breathing exercises, postures, and medications with numerous health benefits. It not only promotes physical, mental and emotional health, but it also reduces the daily stress, fatigue, and anxiety and improves energy and concentration levels. Talking about allergies, yoga not only relieves symptoms but also addresses the cause. Let’s see how yoga can cure allergies. 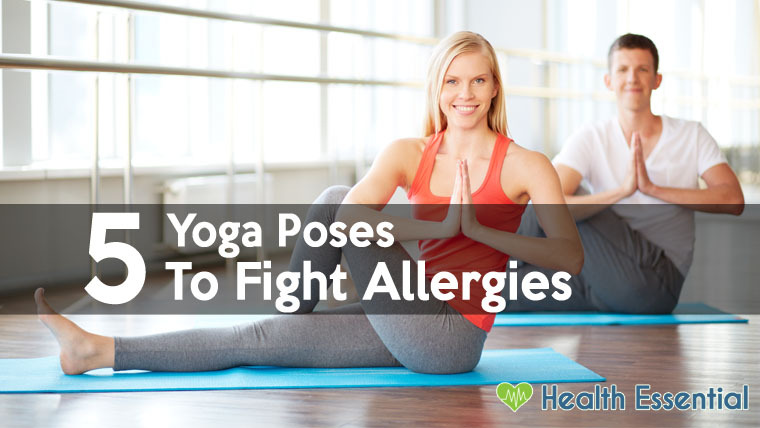 How Yoga Can Relieve Your Allergies? It is a known remedy for stress. Allergies can be very stressful for people, especially if they hinder their day-to-day activities. As per yogajournal.com, any yoga practice that lessens stress automatically helps reduce allergies. Plus, it has been proven that yoga may alleviate allergy symptoms, so if practiced regularly, it may help lessen the daily stress and increase your happiness. It is an alternative to outdoor exercise. In spring, when airborne pollens are released the most from trees, plants, and grass, hay fever allergy sufferers may prefer indoor activities rather than outdoor ones. Yoga is the best alternative as it is practiced indoors with many different styles to choose from for all ages and fitness levels. Yoga may help cure the side effects of allergy. Allergies may cause tiredness, headache, or poor concentration. Yoga exercises can help ease muscle tension and the breathing techniques, which intend to focus the mind on the breath, may improve concentration and distract the mind from the allergies. It may reduce inflammation in the body: A small study carried out in 2010 revealed that certain yoga postures might help diminish inflammation in the body. According to Gailen D. Marshall Jr., MD, Ph.D., inflammation is activated by stress, which can worsen allergy attacks. This yoga exercise oxygenates and detoxifies the entire body, specifically the respiratory system. Allergies of the respiratory system may lead to conditions like hay fever and asthma. This posture involves forcefully breathing out, which removes allergens from the respiratory system, thus purifying the nasal chambers, windpipe, and lungs. Kapalbhati is performed by squatting on the floor. Deeply inhale and forcefully exhale, focusing more on exhaling. One cycling of breathing must be repeated in half a minute and started with the next immediately. Carry this on for 15 minutes. 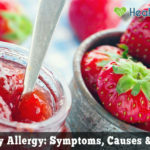 Food allergies occur when specific food items act as an allergen. It may vary for every individual, so some food items may suit some people, while others may be allergic to it. 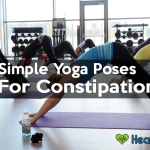 This yoga stomach exercise helps the stomach digest food better. Marichyasana is performed by sitting straight-legged on the floor, holding your spine straight, bending your right leg at the knee, and pulling your right leg as close to the right bone as possible. Relax in this position for a few seconds, return to the resting pose and continue with the left leg. Seasonal allergies can occur in a specific season of the year. For example, some people may be allergic to the spring season because of pollen in the air. Yoga for seasonal allergies emphasizes on strengthening the immune system. This pose stimulates the thymus gland which, in turn, regulates the lymphatic system and stabilizes the immune system. Moreover, it opens up the throat, chest, and lungs and is particularly useful for young children. Matsayasana is performed by sitting cross-legged on the floor and gradually bending back till your upper body is entirely resting on the floor. Then arch your head, neck, and chest upwards, remaining in this position as long as possible. Return to the resting pose and continue as many times as you can. Pet allergies affect the respiratory system. People who have dogs as pets, for example, may be allergic to their fur, dander or saliva. To control such allergies, one must keep their respiratory system strong and clean. For this purpose, Anuloma Viloma is the best which thoroughly cleanses out one’s respiratory system. Anuloma Viloma is performed by sitting calmly, closing your eyes, and breathing in deeply through the right nostril by closing the left one with your left ring finger. Exhale through the left nostril while keeping the right nostril closed with the right thumb. Repeat the same with keeping the left nostril closed while inhaling and the right one close while exhaling. Repeat this as many times as possible. Allergic conjunctivitis results in red, itchy and watery eyes. Eye allergies cannot be cured, but you can be made to feel better. This yoga eye massage is performed by slowly closing the eyes and resting in the darkness. Gently massage the area around the eyes to improve blood circulation in that region. This exercise relieves the eyes. How to Choose an Air Purifier for Allergies?